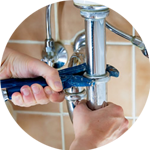 If you require an efficient and reliable plumber in Chiswick, The Handy Squad have a highly skilled and customer friendly team ready to take on any plumbing task. 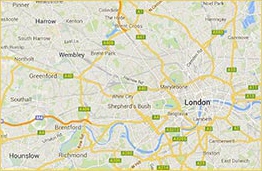 Our association with the area is synonymous with high quality tradesmanship, having circulated the W4 area with our trademark yellow vans for over decade. 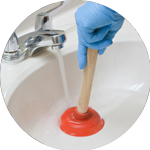 There is simply no task that your plumber in Chiswick won’t be able to take care of. They will be able to assist with anything which relates to; Replacements, Unblocking, Installations and Repairs. 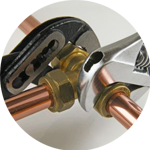 The level of expertise they possess is unrivalled, having enhanced and developed their plumbing prowess since 2005. A large proportion of Chiswick is located in the London Borough of Hounslow. Historical figures who have lived within the are include poets Alexander Pope and W. B. Yeats as well as novelist E. M. Forster. 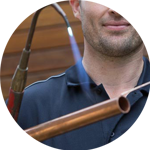 The Handy Squad are proud to offer much more than just plumbing services in Chiswick. We also have a handyman in Chiswick, who will be able complete any odd jobs as well as more specialised tasks such as Flat pack assembly. For any electrical issues, we have an electrician in Chiswick. They will be able to complete a wide variety of electrical jobs, such as Fault finding and repairs and Installations. To book your handyman, electrician, carpenter, decorator or plumber in Chiswick, fill out our online booking form.